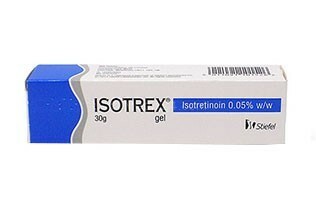 Isotrex contains an active ingredient called isotretinoin. This active ingredient prevents spots on the skin from happening, since it makes blocked pores less likely. Decreases red and swollen spots of acne. Loosens black/whiteheads, so these are easily removed.